Narcissistic, eccentric, depressed, obsessive-compulsive... All worrying signs, and all components of a personality disorder. 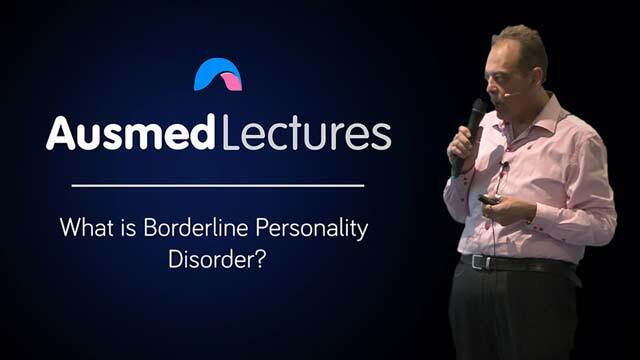 Borderline Personality Disorders can be extremely challenging for healthcare professionals to diagnose, manage, and treat. Join Craig Maloney as he delves into the minds of people who suffer from this debilitating disorder. Craig Maloney has a master of mental health nursing and graduate qualifications in child and adolescent mental health, group work, alcohol and other drugs, Dialectical Behaviour Therapy (DBT), and Acceptance Commitment Therapy (ACT). Has worked in GP clinics as a nurse therapist specialising in chronic depression, anxiety, personality disorders and alcohol and drug dependency counseling. He has substantial teaching experience in the area of communication, managing workplace aggression, conflict resolution in the workplace and disruptive staff behaviours and adverse incidents, mental health nursing, root cause analysis, and risk management. Craig is a Credentialed Mental Health Nurse, a fellow of the Australian College of Mental Health Nurses, and a member of the Australian Institute of Company Directors. He is the recipient of two national awards for his work in primary health care and mental health. Craig has experience working in research and occupational health and safety and is sought after as a risk governance and quality systems architect. He currently works as a consultant in systems design, quality and risk management, education, training, suicide intervention, and mental health first aid. He is a life coach, specialising in nursing success, and is the executive officer of a charity that supports injured workers on the journey to recovery. Excellent information and very well delivered. Great information, succinct and informative. Gives me a better understanding of the topic. Thank you.